When we talk about the light on the spiritual side, the light represents it to Christ. John 8:12 "And Jesus said to them again," I am the light for the world, and he who leads me will never walk in darkness, but will have life in the light. " He is our light or light in our lives especially in our souls. Because he also brought the word life. He is the word spoken and said "the word is the light of my step and the light of my path." Psalm 119: 105 "Your word is a lamp for my feet, a light on my path." This talk mentioned here is the light of the lamp, this is the holy scripture (bible). If we read this book more and more in its contents we will have the light of life that will lead to salvation. Jesus Christ is the redeemer of all the peoples of the world, where we are all raised with the resurrection of ours, and we are redeemed of our iniquities, which God the owner of our body and soul loved redeeming us, the blood of our only child of God is the cause of our sins. But it does not mean that we are to serve the flesh and to await the final judgment, but to put on the virtue of Jesus Christ as the virtue of God, and to live our lives with God. Let us live a life of prayer, thanksgiving, pity and suffering. Let us always glorify God and guide us in our efforts, our employment and our life's desires and always thank us not only for the grace but also for the persecutions we have experienced. We have to deal with God always in prayer and worship and it is worthwhile to receive the body of Jesus Christ constantly to strengthen our souls and to bring evil spirits away. 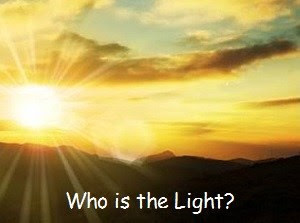 Jesus Christ is the light according to the bible because He is a guidance.